Hello, I am Simon Mackett aka the Old Goat. 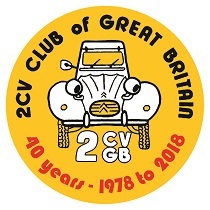 I am the latest custodian of the largest register 2cvGB has, covering all 2cv6 saloons from 1981, when they were first fitted with front disc brakes, to 1990 when the last grey Charleston rolled off the Portuguese production line. 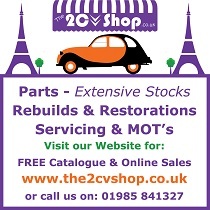 The Disc Brake Register has the most diverse and colourful 2cvs still in existence; it contains well over 3,500 cars and fills twenty-six A4 lever-arch files. Since taking over this register from the much missed Roger Purcell, I have transferred all the paper records onto a spreadsheet, making finding any given car, owner, VIN and engine number, or indeed any particular model, colour or age of car very quick and easy. This also enables us to get any statistics we want. However with many of the records appearing to be horribly out of date, this is a somewhat pointless exercise. The main problem is; very few members actually register their 2cvs. Those that do often don’t inform the Registrar when their car has finally died or when it has been sold on. We are now in the position of having no idea which cars are still alive, or awaiting restoration, and who currently owns them, bar the few we personally know of. As our cars are getting more collectable, their new owners are often keen to try and unearth some of the car’s history, which can be quite involved when it has had ten previous keepers and been restored three times. All too often I can’t help because not one of the owners, some of whom had to be club members, has ever registered the car. This really needs addressing otherwise what is the point of having the register in the first place? 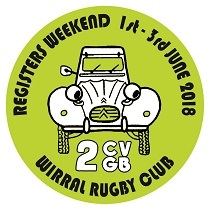 So please, having read this far, dig out your car’s logbook (V5c) and fill in the simple online form, or download and print off the paper version and help your club keep an accurate record of the remaining 2cvs. It helps us enormously when planning the next big SPOG project to have a good idea of how big the market is for any given part. It benefits you too, as a car with provenance is more valuable to the investor collectors than one with a largely unknown background, regardless of condition. So please supply as much detail as you can and pictures are always appreciated. High-resolution digital images can be emailed directly to me - we all like seeing our cars in the magazine, don’t we? Please tell us the owner's name. Please enter your 2CVGB Membership Number. What model is your A-Series? When was it first registered in the UK? Please enter the engine number. Please select:Right hand driveLeft hand drive Left or right-hand drive? What was the original colour? Please select:A - ConcoursB - Above AverageC - AverageD - Below Average What condition is it in?